I do not think of this, the first ingredient of Blue HF, which is hydrolyzed salmon protein concentrate. Is this natural? Does that look like food to you? Wonder how it might be made? Just visit Ridgedale Permaculture, where they show you their process of making fish hydrolysate, step by step. (Fair warning – it’s not a pretty process.) And if you make it down the page, you will see their first recommended use for fish hydrolysate is as a compost “booster” and plant fertilizer! 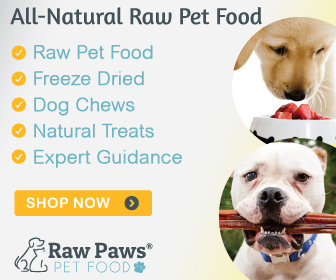 The prescription food company approach to the food intolerant dog is to super-process some ingredients so they are not recognizable by the body, and fill in with parts of whole foods that are left over from making human foods (pea starch, pea protein). And then they add vitamin and mineral products to approximate the dog’s needs. And, in many cases, charge owners several dollars per pound for the food. Have you heard of the prescription Royal Canin food made whose protein is made from hydrolyzed chicken feathers? The new term for that feather product is “hydrolyzed poultry by-products aggregate”. And the first ingredient of that product is corn starch! Beyond the over-processing and ingredient quality concerns, the presence of so many pea and potato based ingredients so high up in the ingredient list raises a taurine deficiency concern. As you probably know, a link between grain free foods high in legumes and pulses and dilated cardiomyopathy (DCM) and taurine deficiency is being studied at UC Davis Veterinary College as well as being investigated by the FDA. Finally, all of the pea and potato ingredients raise the carbohydrate (starch) level to about 48%, over five times my recommendation for a dog with food intolerances! I’m very comfortable calling this food, recommending it for my patients, and feeding it to my own dogs. Anything less just isn’t natural. Despite what Blue and other pet food companies try to sell tell you. Please share your comments on my Facebook page.